Yep, so it took me almost 2 months to finish my first project this year. I could say that I was waaaay too busy at work, the cat ate it, or maybe the dog…, but, let’s face it, the reason was a bad case of startitis. Too many cast ons, no cast offs – until today! 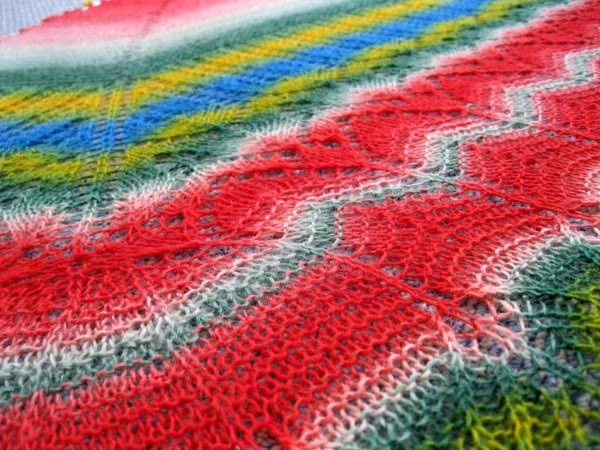 This was such a fun, genius Mystery KAL by Ysolda Teague! Each of the 5 clues had 2 otions for the knitter to choose from, so there were actually 32 different possible outcomes to this shawl. 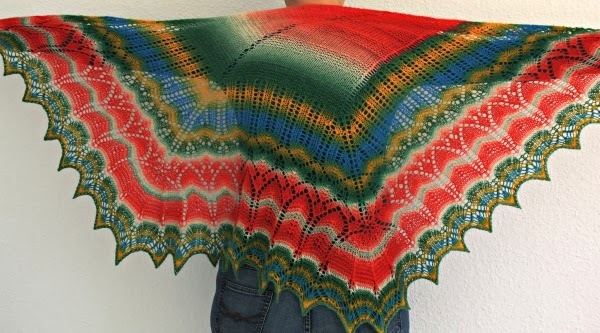 So, even if you did see somebody else’s spoiler picture on Ravelry, that didn’t tell you anything about how your own shawl might come out. Truly a mystery to the very end; also because my circs were so short that I couldn’t spread out my shawl and see it in its entirety until I had bound off. 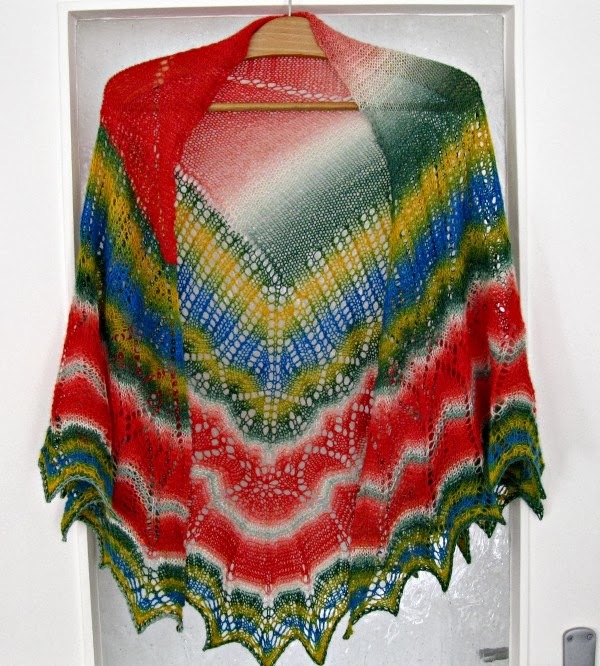 Have a look at all the different shawls here on Ravelry. Designing this must have been a major engineering challenge. I’m totally impressed with the design, the concept and the execution (great help videos). As I said, genius. As for the Parrot, it’s named after the yarn, Schoppel Wolle’s Zauberball in colorway “Parrot”. It took a little more than 1.5 balls, because I knit the third clue twice to get a bigger size. 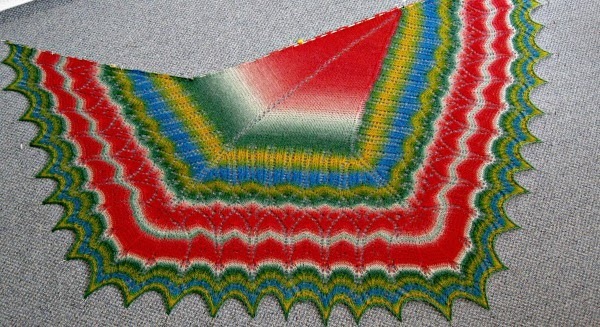 The shawl measures 150cm x 85cm (60″ x 34″).